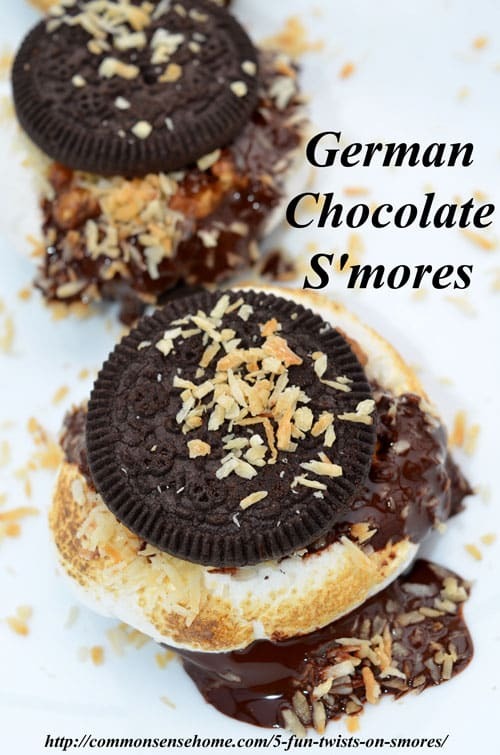 S'mores are the “go to” dessert at many a summer camp out and cookout, but who says you can't mix them up a little just for fun? These recipes can be cooked over a campfire or toasted under a broiler or in a toaster oven. Sometimes my boys simply toast marshmallows over the stove top burners, or hit them with the culinary torch that grandma bought for Christmas one year. Work with what you have, and enjoy a classic summer favorite. (Photo at top of post.) 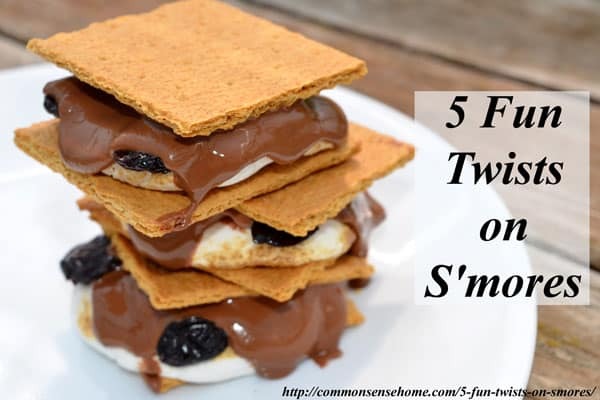 Add some dried tart cherries at the same time you place the chocolate for a sweet-tart “pop” of flavor that really brightens up the taste of your s'more. This one is dedicated to my mom, who always called bananas “monkeys”. Substitute peanut butter cookies for the graham crackers and peanut butter cups for the chocolate bars. Top with fresh banana slices. This one is probably best done under the broiler or in a toaster oven, because the toasted nuts and coconut are a little tricky to work with. Lay out chocolate cookies or sandwich cookie halves on pan. Top with marshmallow, dark chocolate, coconut and walnuts. Place under broiler until bubbling. Top with other cookie half. 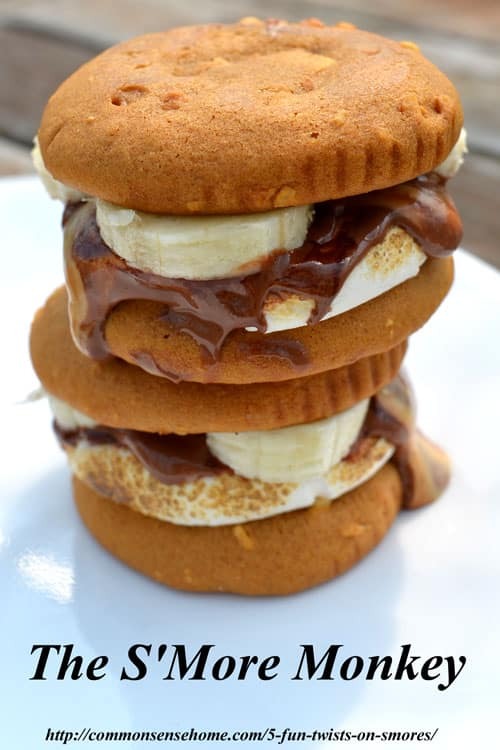 Substitute chocolate cream sandwich cookies for the graham crackers. We skipped adding the chocolate bar because of the chocolate cookie, but you can add it if you like. 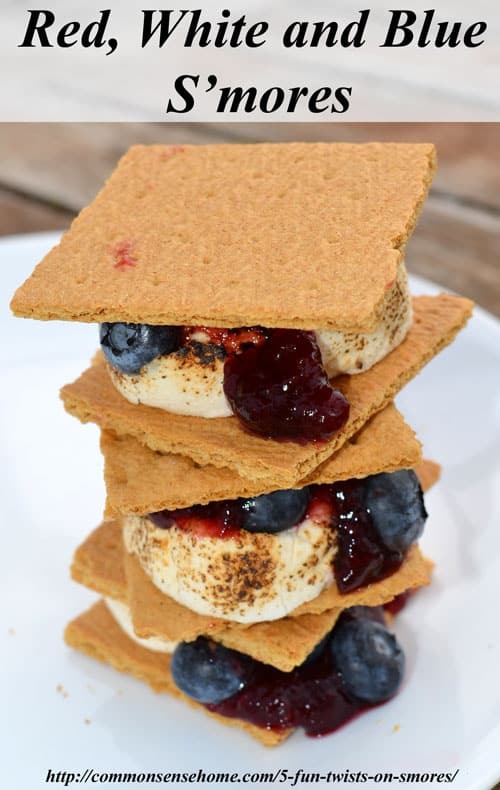 For holiday gatherings or just for something different, try topping your marshmallow with strawberry or raspberry jam and fresh blueberries (white chocolate optional). 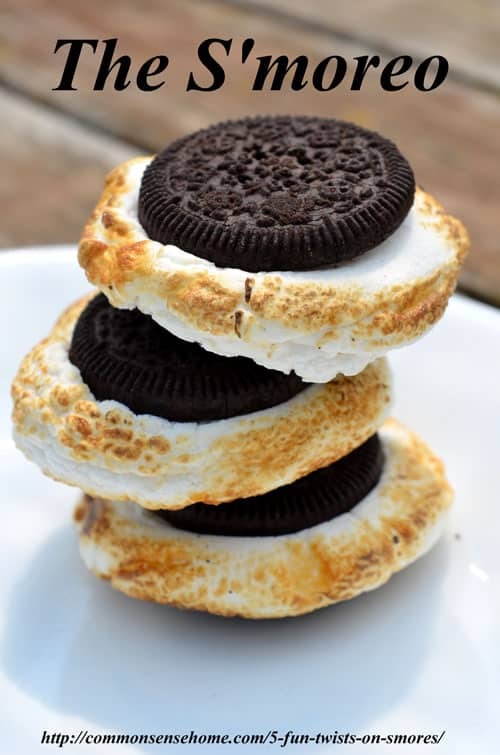 I like this one as a pretty and not quite so sweet alternative to the traditional s'more. I hope you and yours have a wonderful holiday weekend, and I'll see you next week with a fun giveaway for the garden and handy household tips.